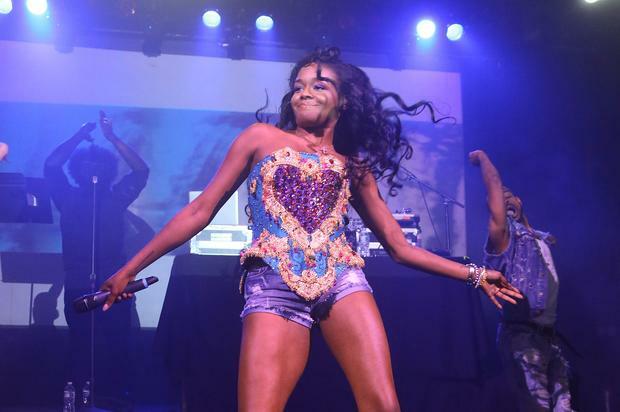 Azealia Banks is messing with her new look. Her fans? Not so much. Whenever you see Azealia Banks’ name in the headlines, you should be wary of what you’re about to read. Last week, the controversial rapper shared a series of half-naked images of herself to hype up a new song called “Playhouse.” Now, she’s proudly showing off her new look, which includes a lack of eyebrows, to her many fans online. If you’ve been keeping up with Azealia Banks, you’re either a diehard fan of hers or you’re obsessed with the drama that constantly spins around her. Each day, there’s a new story that’s just as wild as the last and it helps in part to keep her name relevant. Because of actions like this, Banks has maintained her level of fame without focusing too much on music. The star recently debuted a brand new look, which her fans have met with criticism. Banks shaved off her eyebrows, showing the end result on her social pages and telling everybody that she’s really feeling the new look. There is a number of folks that are on her side, praising her for switching up her face but others have taken to their own pages to voice their displeasure. Which side do you stand on? Do you feel Azealia’s new look or should she draw her brows back on? Peep the comments on both photos to see what everyone is saying.